AT&T today reported stronger than expected profit for third quarter of 2009. AT&T’s revenue was down 1.6 percent to $30.9 billion, but the company earned $3.2 billion profit. AT&T’s profit remained high, even though their enterprise and landline revenue declined by 10.4 percent and 7 percent respectively. iPhone was one of the main contributors with 3.2 million new iPhone activations, which helped AT&T attract 2 million new customers. 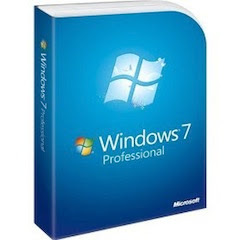 After the Windows Vista debacle, Microsoft today launched their next generation OS called Windows 7. According to Microsoft, Windows 7 is Vista, only better. The company says that hundreds of its engineers and designers have worked with customers and partners to build an OS that delivers on the vision of the PC, simplified. 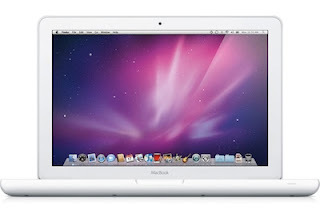 Apple today updated its popular MacBook with a new, durable polycarbonate unibody design featuring a brilliant LED-backlit display, a glass Multi-Touch trackpad and Apple’s innovative built-in battery for up to seven hours of battery life. Inheriting technology and design features from the MacBook Pro line. Apple today unveiled an all new iMac line featuring brilliant LED-backlit 21.5 and 27-inch widescreen displays in a new edge-to-edge glass design and seamless all aluminum enclosure. 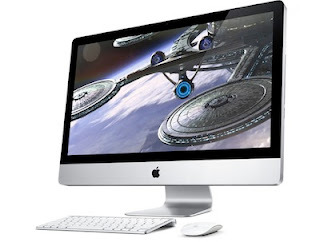 The new iMac line is the fastest ever with Intel Core 2 Duo processors starting at 3.06 GHz, and Core i5 and i7 quad-core processors for up to twice the performance. Every new iMac ships with a wireless keyboard and the all new wireless Magic Mouse, the world’s first mouse with Multi-Touch™ technology. Apple today introduced the new wireless Magic Mouse, the first mouse to use Apple’s revolutionary Multi-Touch™ technology. Pioneered on iPhone, iPod touch and Mac notebook trackpads, Multi-Touch allows customers to navigate using intuitive finger gestures. Instead of mechanical buttons, scroll wheels or scroll balls, the entire top of the Magic Mouse is a seamless Multi-Touch surface. Apple today announced financial results for its fiscal 2009 fourth quarter ended September 26, 2009. The Company posted revenue of $9.87 billion and a net quarterly profit of $1.67 billion, or $1.82 per diluted share. These results compare to revenue of $7.9 billion and net quarterly profit of $1.14 billion, or $1.26 per diluted share, in the year-ago quarter.